They'll want to show off their style in the Giuseppe Zanotti Kids™ Lunapark Sneaker. Synthetic upper with glitter and balloon print detail. 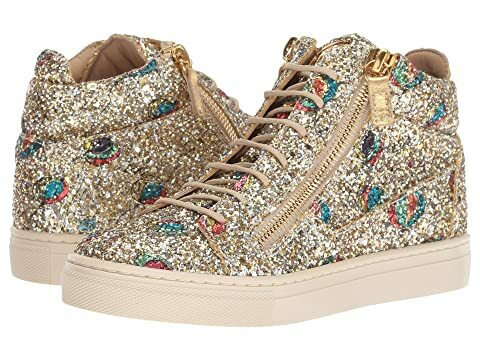 We can't currently find any similar items for the Lunapark Sneaker (Toddler/Little Kid) by Giuseppe Zanotti Kids. Sorry!